Are you ready to discover and become who you really are meant to be? Would you like The Mighty Royal Angels of Atlantis to guide and help you move forward with love and joy? Would you like the presence of Angelic Miracles and Grace surrounding and blessing your health, wealth and relationships? The legendary Stewart Pearce is one of the world’s leading Spiritual Teachers, acclaimed by A-list celebrities as an Angel Whisperer, Voice Alchemist, and Intuitive seer. 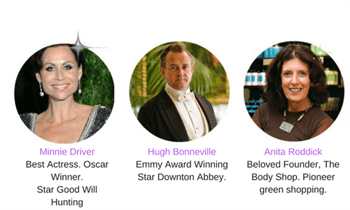 For well over forty years Stewart has coached leading Lightworkers, CEO’s, Politicians, States-people, Royalty, Religious Leaders, Celebrities, & Actors including more than seven Oscar-winners. 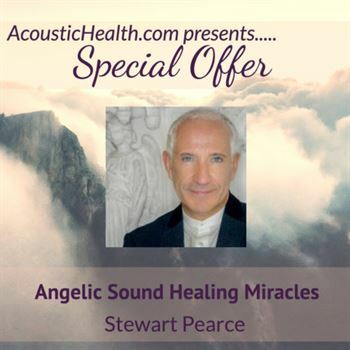 Stewart’s voice and presence in interviews and in immensely compassionate, personal sessions convey powerful sound healing fields of Angelic Grace and wisdom that instantly uplift and heal the listener. 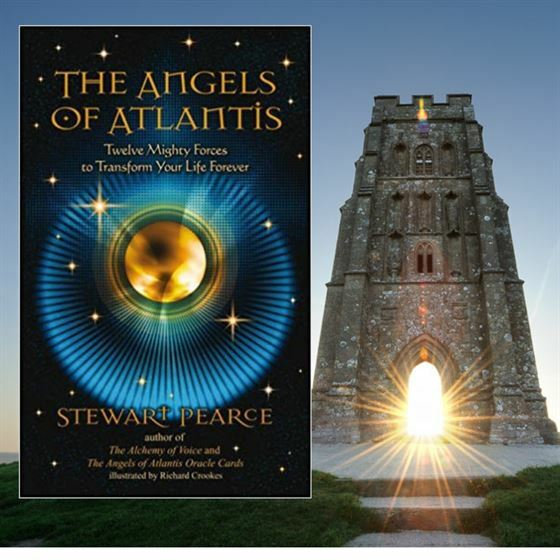 In 1987 during the Harmonic Convergence, Stewart had a profound mystical experience, when he met the twelve Angels of Atlantis at the Heart Chakra of the World — Glastonbury Tor England. 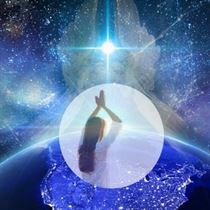 This utterly changed his life and for thirty years he has dedicated his work to the awakening of the Angels within mainstream consciousness, for they come with a very specific message! As a Master of Voice, Stewart has a reputation for training the Actor, and he helped pioneer the world-famous Shakespeare’s Globe Theatre between 1997–2010. Stewart has coached world-famous actors such as Oscar winner Eddie Redmayne, Matthew Goode, Hugh Bonneville of Downton Abbey, Oscar winner Sir Mark Rylance, Simon Callow CBE, Dame Vanessa Redgrave, Michelle Williams, Minnie Driver, Margaret Thatcher, Diana, Princess of Wales, Marianne Williamson and the LONDON 2012 OLYMPIC Bid, to name just a few. Stewart has authored four best-selling books and leads life-changing, miracle workshops, and transformational retreats around the world including sacred trips to the great temples of Egypt and the Atlantean sites of the Dominican Republic, which offer us optimum transformation within the planet’s major power centres. Prayers Encoded with Angelic Healing Light from Atlantis. 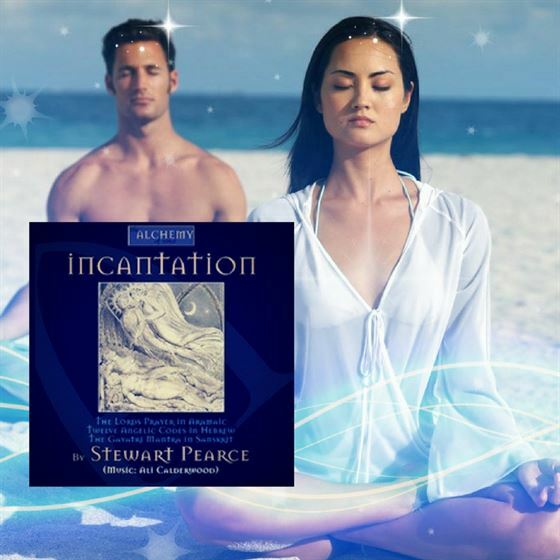 Stewart Pearce has created these audios so YOU can EVOKE THE PRESENCE OF EACH ANGEL IN Your Life through prayer, chant and meditation – so as to discover who the Angels are, what their purpose is, and how they can help you transform into a Divine Angel on Earth. Keep these audios with you on your mobile device so you can call on and evoke a healing angel in any time of need or for meditation and relaxation. GABRIEL is the Divine Messenger Angel, and so brings unique messages intimations, whisperings, signs, intuitions, synchronizations to us when we wish to evoke clarity about our own message or purpose – which simply put is to optimize our creative energy full of love and joy. HANAEL – is the Sacred Warrior who teaches us courage, bravery, determination, steadfastness and hope. Whenever we are about to falter on our path as a result of disappointment, Hanael always comes into our field saying: “Have another go!” and often this is when we achieve our goal! 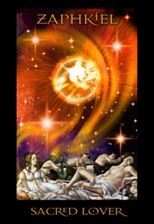 JOPHIEL – is the Holy Liberator helping us to release ourselves from any ‘thought prison’ by showing us other options to play or work with. Jophiel leads us constantly to the stillness of meditation, so that we may calm the stresses of not feeling good enough. Stillness an Gravity ground us helping us to find that secret texture of our soul, living within the capacity of our hearts. METATRON – is the Supernal Teacher, the key keeper to the Akashic Library, which houses a record of all the thoughts that have been ever created on the planet. This wonderful Angel hovers on the right side of the Divine, and so therefore has unique information about our incarnations – to ask something of Metatron means you will receive a glimpse of heaven. MICHAEL – is the Cosmic Leader who will always lead us into eternity, if we ask. Therefore whatever challenge we may face we always can be led to a greater comprehension about our soul’s wisdom, and therefore how to live better lives, developing greater spiritual intelligence. RAPHAEL – is the Holy Healer, who teaches us that all healing comes to us as a movement back to wholeness. 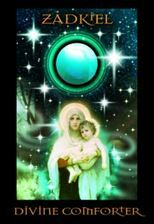 So when stress, injury or negativity have led us into sickness, sadness or toxicity – call Raphael in and this wondrous Angel will kindly show you the error of your ways, and how you may become wiser about transmuting negative into positive. RAZIEL – is the Angel of the Divine Mysteries and reportedly hovers on the left side of the Divine, ‘eaves-dropping’ on all of Gods conversation. Therefore, Raziel is a really good friend to have as our spiritual consciousness expands and we start to evoke so many questions about our soul’s odyssey. SANDALPHON – is the Sacred Guardian of the physical nature of our planet, and therefore also of our bodies as Earth Beings. 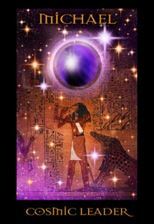 Sandalphon is helping the ancient mysteries to be awakened from the Earth Stones, Water Courses, and Standing Trees so as to inform us about our ancient past and soul wisdom. 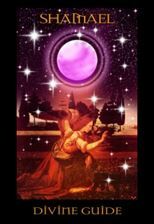 SHAMAEL – is the Divine Guide who configures our sacred pathway whenever we feel lost, weak or disorientated – therefore saying a prayer to Shamael always illuminates our path. URIEL – the Eternal Companion who always provides succor when we need friendship, counsel, advice. The conversation occurs through the metaphors of life, so that we feel the magic and the miracle of life reconnecting us with all that is sacred when we weaken on our path. 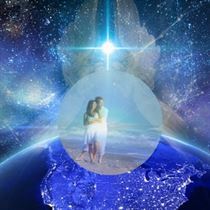 Our soul’s are yearning mates, and saying a prayer to Uriel will always bring new companions forth. ZADKIEL – the Divine Comforter is always apparent in our lives as we move along our path experiencing the ‘slings and arrows of outrageous fortune’. Call on Zadkiel an you will be restored to peace, humility, gentleness an the inclusivity of the Source. 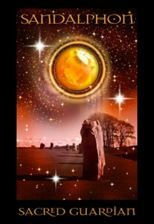 ZAPHKIEL – the Sacred Lover teaches us about unconditional love as we move forward at this extraordinary time of living on Planet Earth and in the Cosmos. It seems we know little about unconditional love and so we are learning through the compassion, empathy and inclusivity of remarkable people like HH the Dalai Lama, the Pope or Ammachi ‘the Hugging Mother’. Through their self-less conduct we see bright lights to emulate and become better people. Three Sacred Chants for Profound Healing with specially composed music. In celebration of Global Unity as a gateway for love & joy. Each recording is designed to convey devotion, healing, and inspiration from the Angels of Atlantis. For thousands of years the Angels have transmitted the delight of the Soul’s ability to bridge between Divine discernment and Human reasoning. 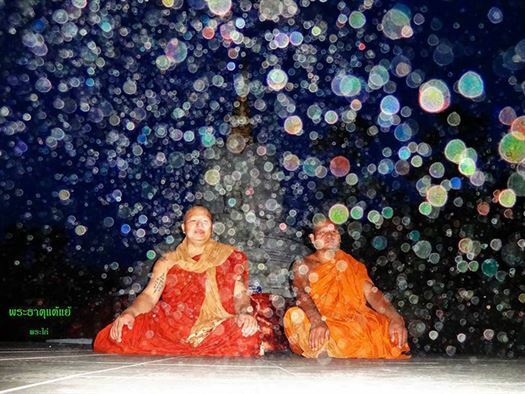 Each sounding the Lords Prayer in Aramaic, the Twelve Angelic Codes in Hebrew, and the Gayatri Mantra, hear spoken in Sanskrit represents one of the sacred language codes of humanity, and whose harmonies will bring about profound healing. Each recording is designed to convey devotion, healing, inspiration, and transformation and For thousands of years the Angels have transmitted the delight of the Soul’s ability to bridge between Divine and Human energies, and since Stewart’s meeting with them in 1987. Each sounding represents one of the sacred language codes of humanity, and whose harmonies will bring profound healing from the Source. 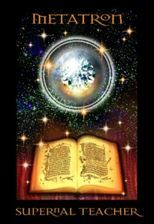 These introduction and prologue to the Angels of Atlantis a spiritual tour de force that contains ancient healing mysteries and embedded codes of light. Based on the teachings of the twelve archangels of Atlantis, this spiritual resource reveals how to become aligned with their power and wisdom. The inspirations offer powerful counsel and healing. This book is a spiritual must-have that has been hailed as a new instant classic for anyone who is serious and authentic about their path of awakening. Discover and Vibrate at Your Unique Soul Note -Magnetize all of Creation to You! 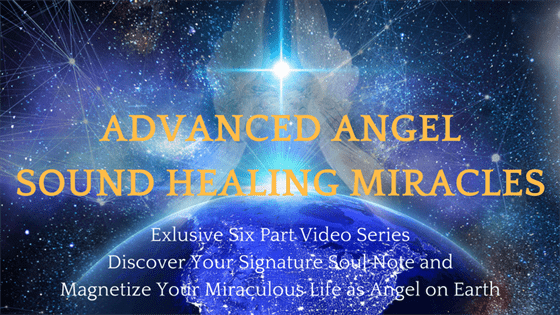 This is a a priceless teaching series of extremely powerful videos embedded with the consciousness of the coming “Age of Angels” in which Stewart reveals the mysteries and take you through powerful wisdom and experiential exercises to bring you into living as your awakened self. 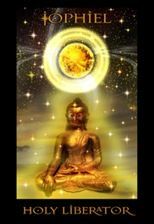 Watch the entire series and return again and again to continually deepen your understanding and experience the beautiful teachings and exercises in each one. 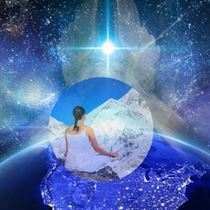 As you practice these techniques shown, you will learn and experience the deep bliss of becoming a Divine, magnetic, presence aligned with the wisdom and power of the Angels and the Cosmos. Effortlessly begin to draw in blessings, abundance and love in all forms. 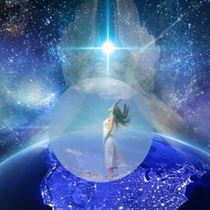 As you begin to resonate the glory of your Divine presence you will become a true star revealing your own unique presence, talents and gifts. Each video is 15 minutes in length in MP4 format which you can watch on your computer, iphone, ipad or other mobile devices. Each episode features Stewart Pearce in a teaching setting, sharing profound insight, illumination channeled from the Angels that has empowered people around the world. 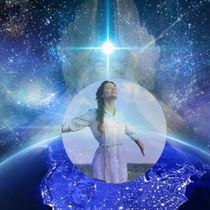 Angelic Sound Healing – the Angels share with us that sound is at the Core of Creation, and that they were present as God’s Divine Emissaries, at the very beginning of creation. This also means that we have our own sound of creation – a signature note that lies at the center of our being, and which creates the song of your soul. In this video we will find the ecstasy of your personal Divine ‘note’. Voice Alchemy – Alchemy means the transmutation of negative into positive, and in this modality the Angels gift us ways of transmuting all mortal disharmony into divine transcendence. This is a fascinating means to heal karma and dysfunctional behaviors in our lives that often result in illness or challenging circumstances. In this video you will learn radical ways of formulating a very happy life. Persona and your Voice – in bygone civilizations people believed that they could center their lives, within themselves, by using the harmony of their speaking voice. This was called PERSONA – the root of our word for Personality, which literally means ‘through sound’. The work of this video makes reference that we communicate the glory of our being from our souls, through our voices, and so life becomes full of Divine magic. Balancing the vital elements for a voice full of vibrant richness – finding our Divine signature note, means we balance the elements of earth, water, air and fire in our bodies. This allows the physical, emotional, mental and spiritual bodies to fully harmonize, bringing us to an increased state of vitality, wellbeing and joy. In this video you will find a way of using your voice for a much healthier life. The Magnetic Voice and Emotional Intelligence – when we find our note, we find our soul’s sovereignty, and so resonate our lives through the love and intelligence of our hearts. This means that our voices become deeply magnetic, drawing wonder, glory, success, peace, love and joy to our experience of life. Finding these qualities rich within our feeling process, means we make informed choices about stabilizing ourselves from this position of harmony – rather than choosing negative ways of behaving through anger, manipulation, suppression, or discontent. 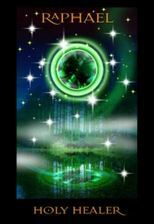 The phenomenon of Angel and Spirit Orbs first came to everyone’s attention with digital camera. Scientists have attempted to verify, that these unusual sightings through the camera’s lens, are not refractions of light or distortions of color oscillating from particles of earth’s debris. Their conclusions would appear to suggest that these often tantalizingly shapes, are images of a light source that has hitherto been unexplained. 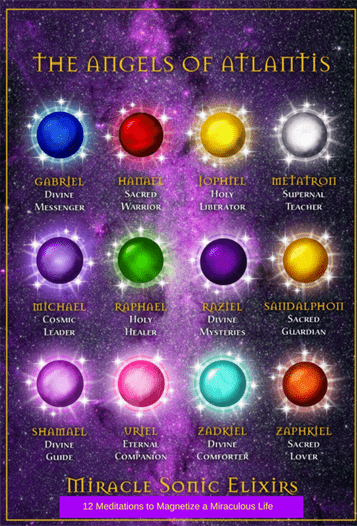 Each ORB is of a specific attunement, offering its unique love and compassion as an acknowledgement of the light of the Soul within the Cosmos. Mentoring with Stewart Pearce have helped luminaries around the world. And people from all backgrounds with ordinary, everyday life challenges. Extraordinary opportunity for a Private Session with a Genuine Grandmaster Healer channeling Divine Angelic Healing and Guidance for YOU. Stewart Pearce has guided and mentored Royalty, beloved celebrities, world-leaders,world-famous spiritual healers, spiritual seekers around world for more than 40 years. It is virtually impossible to schedule private time with Stewart Pearce as his schedule is full months in advance. Stewart is fully booked reaching Sacred retreats, Masterclasses and seminars around the world. However, only for Lauren Galey, Stewart has opened up his schedule and made 44 sacred soul reading sessions available this year for the Quantum Conversations community members. You will never have this opportunity again at these prices to receive counsel from Stewart, the 12 Mighty Angels of Atlantis and the extraordinary beings of light with which Stewart is in communion. Stewart would like to help you see more deeply into the nature of your own Divine soul and awaken you to the true potential of your own gifts. Who you are and what is your purpose? Are you living aligned to the Divine Plan for your Soul? Can your problems be solved? 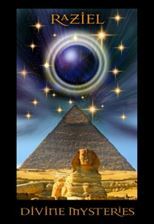 Have memories of your lifetimes in Atlantis been awakening in you? 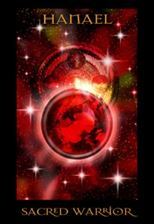 Have you been experiencing the activation of your sacred Atlantean DNA? What is the way forward out of pain, darkness, difficulty or confusion in your life? If you would like to know the answer to any of these questions and receive authentic, life and soul-changing, divinely channeled miraculous wisdom from a Master Teacher here on Earth than do invest in this sacred opportunity for counsel for your Soul’s evolution. Do you want your life to Change for the Better Now? You are precious and deserve to live a life of miracles and joy. Partner with the Angels and live the life you were meant to have. Shine in your own life. Do you feel called? Is this your time? If your heart says yes! Please take action to avoid disapointment as these sessions will sell out very quickly. Looking forward to connecting with you heart to heart and soul to soul. Stewart and the Angels of Atlantis. All readings must be taken within 2 months of purchase. All items are non-refundable after 30 days. 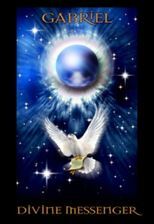 These 12 short and powerful chanted meditations will infuse your being with the light encodments, blessings and vibrations of the 12 Might Angels of Atlantis. 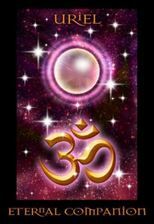 Set to beautiful chanting of the Divine Om sound. Each MP3 carries the frequency of an Angel you can call on in any time of need. The Angels are here to help you manifest joy, love, protection, security, blessings and a feeling of deep belonging to the unconditional love of the Divine. Transform your being into a powerful state of calm and beauty. -Marianne Williamson – Spiritual Teacher, A COURSE IN MIRACLES New York Times Best-selling author of 11 Books.